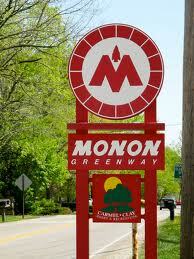 The City of Indianapolis’ Department of Public Works will begin a rehabilitation project for the Monon Trail today, April 22, 2013, beginning at 75th Street and extending north for about 2,600 feet. DPW listed drainage problems along this part of the trail as the reason for the temporary closure. Currently, this part of the trail has a problem with standing water that occurs during and after rain showers. Standing water on the Monon Trail can break down trail infrastructure, making biking, running, and other forms of exercise difficult and potentially dangerous. This construction of the Monon Trail north of 75th Street will begin today and extend for approximately two weeks. During that time period, bike traffic will be prohibited from 75th Street extending through 86th Street in Nora. Pedestrians will be permitted to use the trail between 86th Street and the area where the improvements will take place. The City of Indianapolis has placed bicycle and pedestrian detour signage near the closure site so that Monon Trail users will be able to pick up the trail at a different location. The detour will use Washington Blvd. to 84th Street and continue on Pennsylvania Street until 75th Street, allowing bikers to enter the Monon at 75th Street to head southbound. Our Indiana Bicycle Lawyers want to make sure our readers are aware of this temporary closure. The forecast looks promising the next two weeks, so if you plan to use the Monon, just be aware of these changes. Trail users should expect congestion on the weekends near the detour routes; these areas are not accustomed to the high traffic volume that the Monon Trail gets, particularly on the weekends. It is important to recognize that the City of Indianapolis is doing what is necessary for the long-run integrity and safety of the Monon Trail. Caress Law Group’s Indiana Bicycle Accident Lawyers applaud the City’s DPW for making sure this project is not ignored and for making sure it is completed in a timely fashion. The Indiana Bicycle Lawyers of Caress Law Group are proud to announce that the City of Frankfort will be hosting Bicycle Safety Day tomorrow, April 20, 2013. It is clear that the Frankfort Police, who are the ones who consistently witness the harm and injuries caused by bicycle accidents, are looking out for the safety of Indiana cyclists and have decided to host this event to educate citizens on bicycle safety. This event will start at 9 a.m. at the Frankfort Police Department at 201 West Washington Street. The hosts of this event will be providing attendees with easy to understand handouts touching on bicycle laws in Indiana as well as relevant Frank city ordinances. Bicycle Safety Day will consist of a classroom session put on by the Frankfort Police Department followed by an opportunity for questions and answers. There will then be cones set up in the parking lot for residents to practice the Indiana bicycle safety tips they learned in the lecture. The event is free to the public and will combine an information session with practical “hands on” exercises. The bicycle accident lawyers at Caress Law Group salute the City of Frankfort for prioritizing bicycle safety and communicating these messages to its citizens. Over the years, we have seen bicycle traffic increase throughout Indianapolis and the rest of Indiana. As bicycle riders ourselves, this has led to great opportunities and, we believe, a healthier, more enjoyable community. 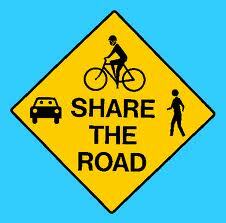 However, with increased bicycle traffic comes increased bicycle accidents and injuries as a result. That is why it is so important, as cyclists and operators of motor vehicles alike, to educate yourself on the rules that come along with “sharing the road” in Indiana. Events like Bicycle Safety Day in Frankfort act as an effective way to begin educating the community on the importance of bicycle safety. Also available at Bicycle Safety Day will be a license tag that can be attached to your bike for only $2. The Frankfort Police are particularly supportive of this because, if the bike is stolen or lost, the serial number on the license tag will be used by police to track down the lost or stolen bicycle. Our Indiana bicycle attorneys also offer our free Indiana Flag sticker or patch free of charge to anyone who requests one by clicking here. If you have any questions about this event or any aspect of Indiana bicycle safety and/or need representation for a bicycle accident in Indiana, please feel free to contact Indiana Bicycle Lawyer Tim Caress at 317-255-5400 or at Tim@CaressLaw.com. We are happy to assist you in any way possible. Caress Law Group’s Bicycle Lawyers provide free consultation and do not require any attorney fee until we recover compensation on your behalf. When biking or running in Indianapolis and other Indiana cities, it’s not unusual to see a number of people using mobile devices with headphones. It seems innocent enough; likely, these people are enjoying their day with a little added music in their ear to make their trip more enjoyable. Modern day products are being designed and sold specifically to be compatible with running, cycling, and other forms of exercise. We all enjoy music, and it’s hard to tell bicyclists not to listen to music while they ride, particularly because music helps motivate so many people to push harder during their workouts. 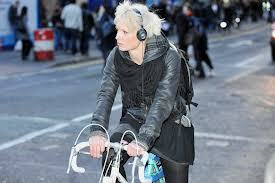 That being said, there are certain safety concerns that arise when a cyclist uses headphones. Clearly, that person cannot hear his or her surroundings as well as they could if they were not using headphones. This may make it more difficult to hear passing motorist traffic or the famous “on your left!” warning when another cyclist is passing you on the Monon Trail. While hearing is an important shield against danger while cycling, your sight is probably more important. Make sure you are keeping your eyes peeled at all times for traffic or unexpected obstacles, particularly if you are cycling with headphones. But what is the law in Indiana regarding headphone usage while biking? Simply put, the Indiana legislature has not yet addressed this issue, and there is no law restricting or banning the use of headphones while cycling currently in effect, although other states, like Florida, have completely banned the use of headphones while on a bike. Therefore, the bicycle injury lawyers at Caress Law Group encourage cyclists who want to listen to music while biking to wear “open air” headphones that do not completely seal the ear. Although these will still impair your ability to hear your surroundings, they will not completely block off sound like an earbud headphone would. If you are in an Indiana bike accident involving a pedestrian, another cyclist, or an automobile, and you wish to pursue a legal claim to be compensated for your medical expenses, lost wages, pain and suffering, and loss of consortium, your ability to recover such expenses may be negatively impacted if you are wearing headphones during your bicycle accident. This is because Indiana is a modified comparative fault state. This means a percentage of fault is assigned to each party (you and the motorist, for example). Once the percentage of fault is assigned, it is applied to the damages, or compensation, available in each case. For example, if you are rear-ended by a car while riding your bike, the fact finder may attach 95% fault to motorist and 5% fault to you. If the total damages in the case were $50,000, you would recover 95% of that amount instead of all $50,000. Wearing headphones can potentially cause more fault to be assigned to you, making it more difficult for your Indiana bicycle lawyer to recover rightful compensation you deserve. The Indiana bicycle accident attorneys at Caress Law Group are always privileged to provide you with up-to-date bicycle news and legal interpretations. If you have a question about this post or any other question about Indiana bicycle laws or comparative fault, please feel free to call Indiana bicycle lawyer Lance Worland at any time at 317-255-5400 ore-mail at Lance@CaressLaw.com. Please remember to be safe when riding your bicycle this spring, and enjoy your next ride! The Indianapolis Bicycle Lawyers at Caress Law Group are pleased to provide Indiana cyclists with a last minute reminder of Sun King’s 2013 Bike to the Ballpark. This event is scheduled to take place this Thursday, April 4, 2013. Festivities will begin at 4 p.m. at Sun King Brewery in downtown Indianapolis, and the bicycle trip to Victory Field will begin at 6 p.m. 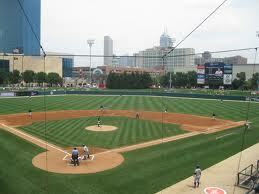 The Indianapolis Indians will kick-off their 2013 season when they host the Columbus Clippers that night beginning at 7:05. This is a great chance for Indianapolis residents to socialize and enjoy a bike ride with other local riders while also getting the opportunity to support the Indians’ first game of the year! The ride through downtown will be led by Mayor Greg Ballard, as he leads riders to Victory Field. Although the Indiana Bicycle Accident Lawyers at Caress Law Group take great pride in assisting victims of bicycle injures in Indiana, we are also proud to promote local bicycle events like Bike to the Ballpark that bring together our local bicycling community. Even if you are just a casual bicyclist, this event should be an enjoyable one. You can register for this event through IndyCog by clicking here. Both IndyCog and Sun King have consistently been supportive advocates for bicycling events and rights in Indiana. To all those who plan on attending this event: have a great time, ride safely, and root on our hometown baseball team! If you have any questions about bicycle law or any issue involving Indiana personal injury law, please feel free to contact Indiana Bicycle Lawyers Lance Worland or Tim Caress at 317-255-5400 or at Lance@CaressLaw.com. We are happy to help/ Caress Law Group offers free consultations. There are no attorney fees or expenses unless we are able to make a recovery on your behalf.